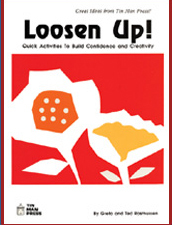 Loosen Up! , Scholastic Testing Service, Inc. Encourage young perfectionists to think outside the box with this collection of 31 drawing, cutting, and folding exercises. This booklet is perfect for students who need encouragement to attempt creative projects without the fear of making mistakes.